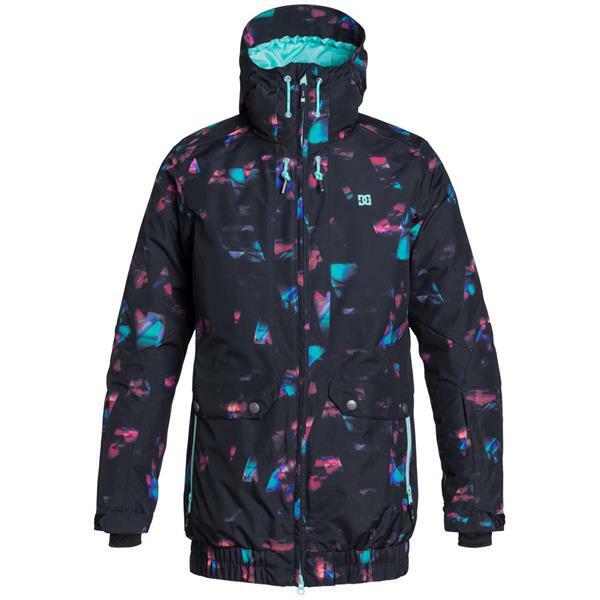 Tough weather protection and a longer fit for coverage help to make the DC Riji Snowboard Jacket for women a great choice for hitting the mountain this season! 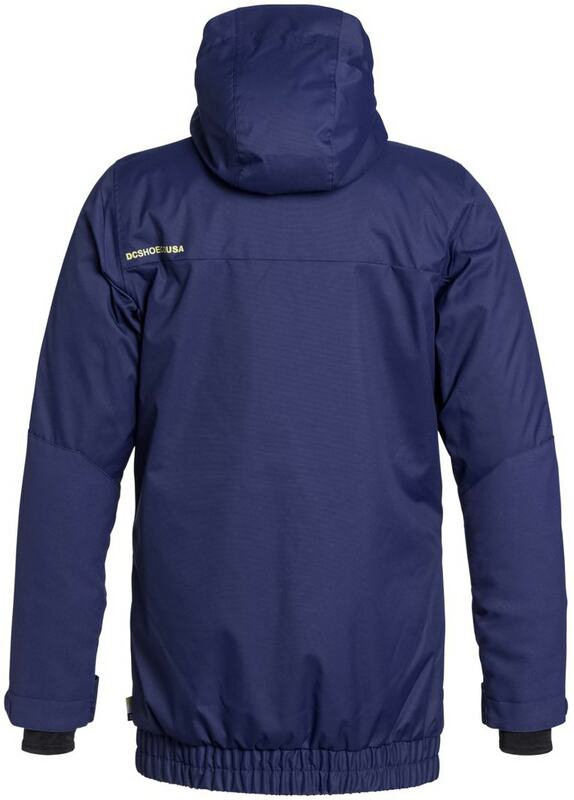 Constructed with waterproof and breathable EXOTEX 10 technology that will keep you dry without slowing you down, this parka style jacket also packs plenty of insulation for when the temperature gets chilly. Critically taped seams and a visor hood add a little extra protection from the falling rain, and the Lycra cuff gaiters and powder skirt help keep the warmth in and the cold snow out. Get out and have fun this season, even when the forecast is less than great, in the Riji from DC! This jacket comes down longer, which I like, but was a little tight in my thighs - nothing that would deter from skiing or snowboarding but some people may not like that it sits right there and hugs. I have about 6 snowboard jackets and this one is my favorite! Love the long length. This jacket kept me super warm.Iwould buy this jacket again! I'm 5'10" and I ordered this jacket in the Sea Spray color and so far I'm in love with it. 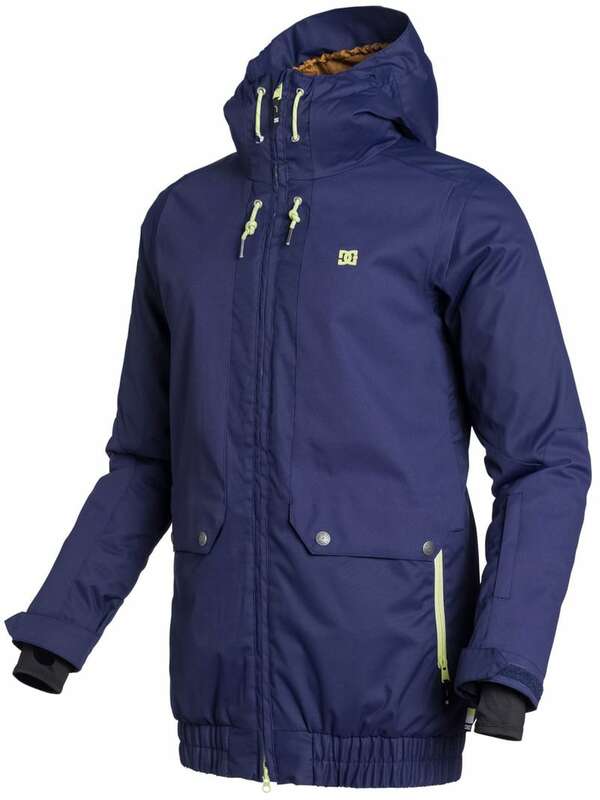 I've been looking for a jacket that comes with some give while I'm skiing (especially when i have multiple under layers on) and the DC Riji does just that. There are lots of front exterior and interior pockets which is great! Big fan of the exterior pale green and the bright interior coral color! There is one thing that I'm not a huge fan of but will deal with it - the length goes way beyond than I thought and has a scrunch material on the bottom. It's not a big issue just something that is there. I LOVE THIS COAT! Nice and long! What is the length of this coat in size large? BEST ANSWER: I don’t know the exact length, but I bought this coat in a small for my daughter who is 5’, it runs pretty long. She is long legged so the length works, but if someone was short it may run to long. Hope this helps. Love the length on this jacket! I'm 5'2 and it reach about mid-thIgh on me. The length of the front or back? Will the hood fit over a helmet? BEST ANSWER: Absolutely! I wear my hood over my helmet everyday and have not used a neck gaiter since. Maybe. If you have a low profile helmet, yes. If not, nope. 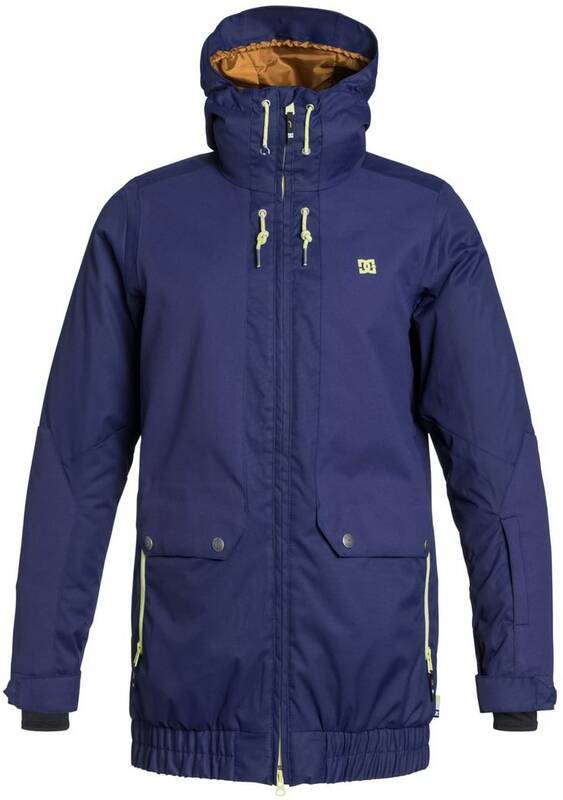 This jacket will have a looser more traditional snowboard fit, but will also be a tic longer. On many people it will be like mid-thigh.